This year marks the 50th anniversary of the lava lamp, everyone’s favorite emblem of the psychedelic 60s. In honor of this milestone, we thought it only appropriate to share some facts about this type of novelty accent lighting that you might not know. Celebrate 50 years of the Lava Lamp with Ten Facts You didn’t know. The lava lamp was invented in 1948 by an English accountant named Edward Craven Walker. He was inspired by an egg timer in a pub made of a cocktail shaker filled with alien-looking liquids bubbling on a stove top. It took Craven Walker 15 years to perfect his design. The lava lamp was originally called an “Astro Globe,” then became known as a Lava Lite (after the company who bought the US manufacturing rights) before being known by the name it is known by now. No two lava lamps are the same. Craven Walker knew he had “made it” when he heard that Ringo Starr bought one of his lamps. The lamps were originally intended to be a luxury item before it was picked up by hippies and the swinging 60s set as a psychedelic accessory. The lava lamp made its first TV appearance on Dr. Who in the 1960s. 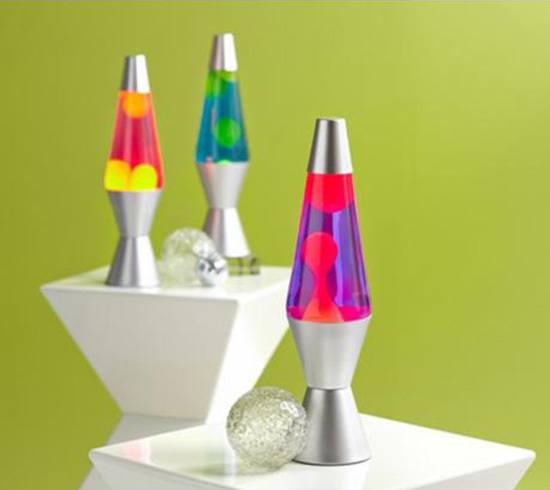 Sales of the lava lamp slumped in the late 1970s, but it experienced a resurgence in popularity in the 90s after the Austin Powers movies were released. There is a lava lamp on permanent display in the Smithsonian. The largest lava lamp ever made is four feet tall and holds ten gallons of lava formula. The most expensive lava lamp ever sold was $15,000.